I have read several negative feedback about “libel” in the new anti-cyber crime law–RA 10175 (Cybercrime Prevention Act of 2012) which was signed into law recently by President Aquino. But as i go over with the provisions of the new law, there’s nothing new about libel except the addition of the use of computer in the commission of libel. RA 10175 adds the “committed through a computer system” phrase in the “Means of Libel” (original provision of Art. 355 of the Revised Penal Code below). 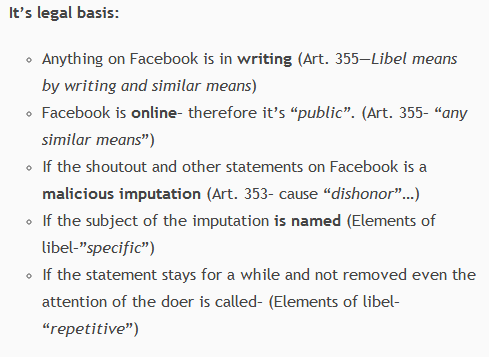 Long before the RA 10175 was passed, some cyber legal experts had already opined that libel committed online is already included in the libel law provisions of the Revised Penal Code. 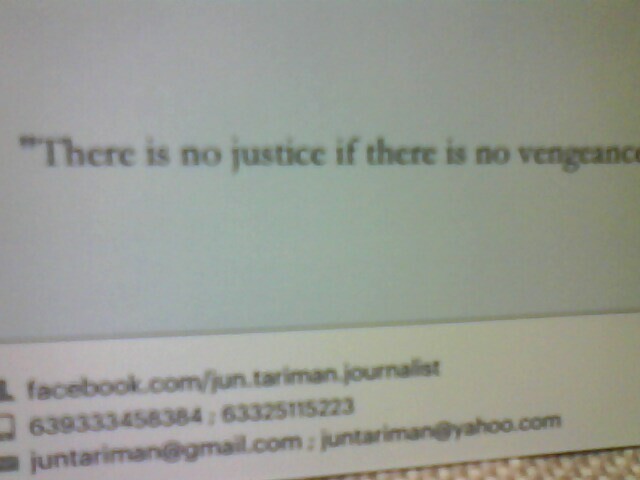 In one of his interviews, Atty. Jose Jesus “JJ” Disini Jr., a cyber law expert said many had mistakenly thought that defamation on Facebook is not covered by our libel laws. The phrase–“or any similar means” in Art. 355 of the RPC encompasses writing and posting defamatory statements on Facebook and in any online pages and sites. Some writers in the online community have already expressed their apprehension that the new anti-cyber crime law shall be used to harass bloggers and online writers. Again, even without RA 10175 online libel is already covered by the existing libel law. However, some judges opined that the “similar means” should be clearly defined to include libel committed on television, radio broadcast and in online sites to avoid subjecting it to several interpretations. similar means which may be devised in the future. Read RA 10175 to know more of the provisions of the law, especially the fines and penalties thereat. Happy blogging and be responsible online writer! My 50-pcs. 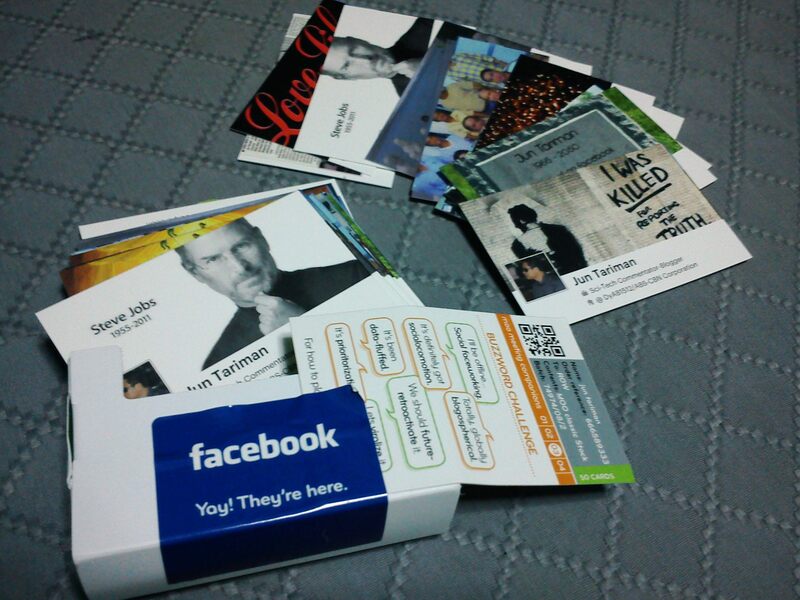 Facebook Timeline business cards by moo.com have just been delivered right at my door step Friday morning (January 28). I wasn’t expecting it will come true and moreover it was a surprise that it came earlier than what had been an estimate of moo.com that it will be delivered by 2nd week of February. By the way it’s FREE! The cards are printed in London, England with materials taken from sustainable forest. Normally, the 50-card pack cost $15 inclusive of delivery to your door step. 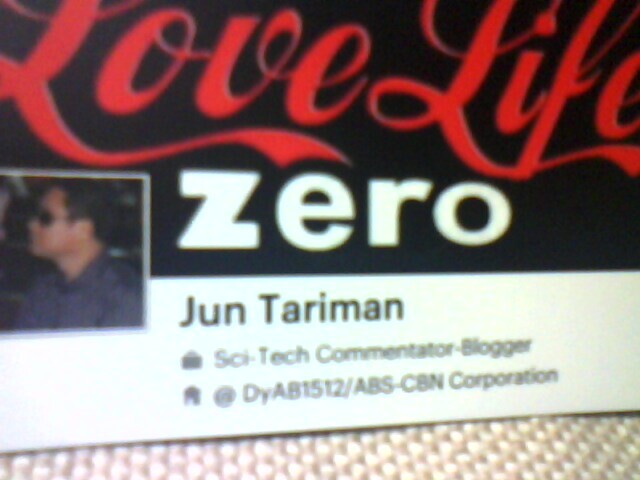 But i was able to grab the promotional launching of moo.com on Facebook and received my first box free. Moo is an online stationery company that prints custom business cards, postcards, etc. Moo’s “Printfinity” prints the cards in a box of different designs. 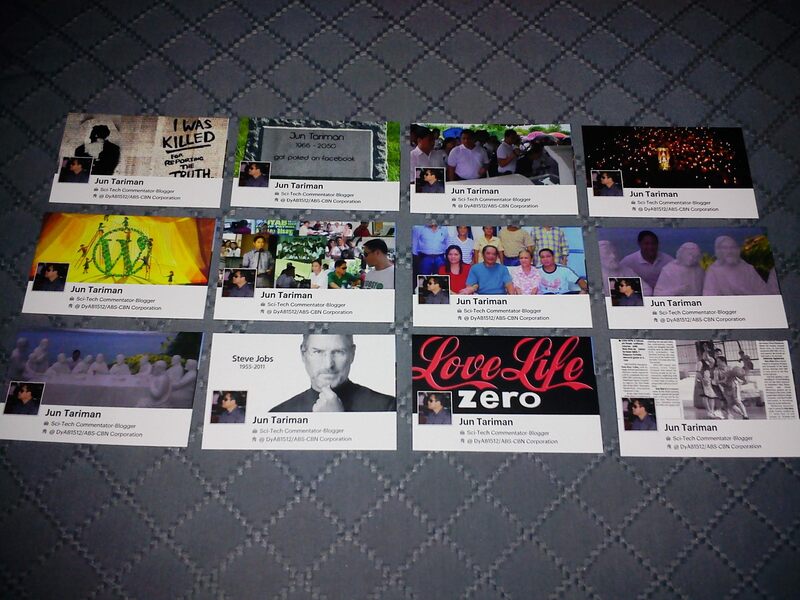 In the case of Facebook cards, the first 50 cover designs of your Timeline shall be printed separately. Why a WordPress Paid Upgrade? This blog is more than four years old. It underwent several face lifts using different themes offered free by various WordPress theme developers. But it never has a paid upgrade like premium theme, custom design, space upgrade, video press, and custom domain. I like the current theme of this blog–iTheme2 by Themify. It’s an Apple-inspired design which best fit for technology blog. 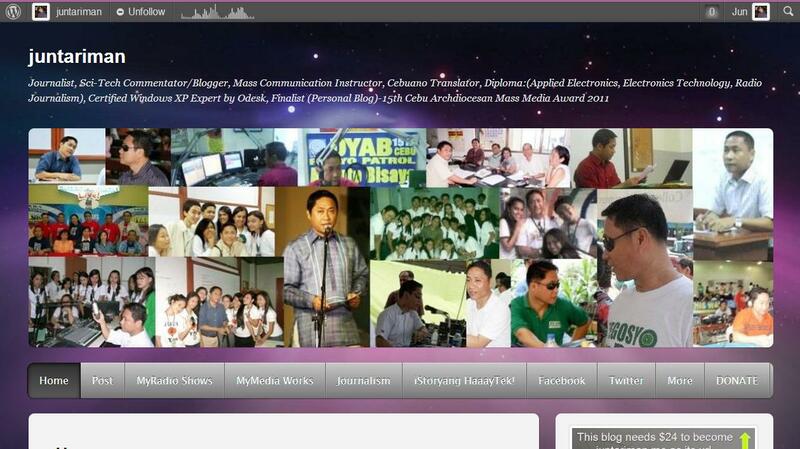 For now, it’s the perfect choice for my blog after trying to wear several free themes in the past. There are premium themes ranging $45-$100 per purchase. I opted not to spend a dime for a premium theme and just settled for an appropriate free themes several times. Your free theme can still be optimized and you can also design your blog according to what you want by subscribing to a custom design upgrade. With the custom design upgrade, you can customize the fonts and have full control on how your blog should look according to the theme design. Custom design is for subscription at $30 per year. Any free wordpress.com blog like mine comes with a free 3-gigabyte storage for all uploaded files and images. The space can be increased with the space upgrade on subscription basis. WordPress has recently doubled the space upgrade on same subscription rate as shown in the table below. 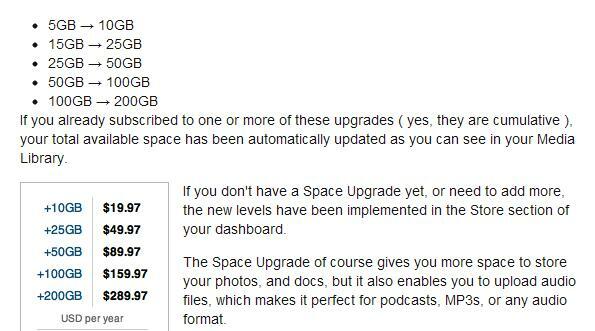 With the space upgrade you can already upload music aside from files and images directly to WordPress. With custom domain upgrade you can choose a personalize URL for your blog like juntariman.me domain name instead of juntariman.wordpress.com for free WordPress blogs. The cost is $17 per year for registration and mapping. However, dot-me (.me) extension is worth $24 a year. 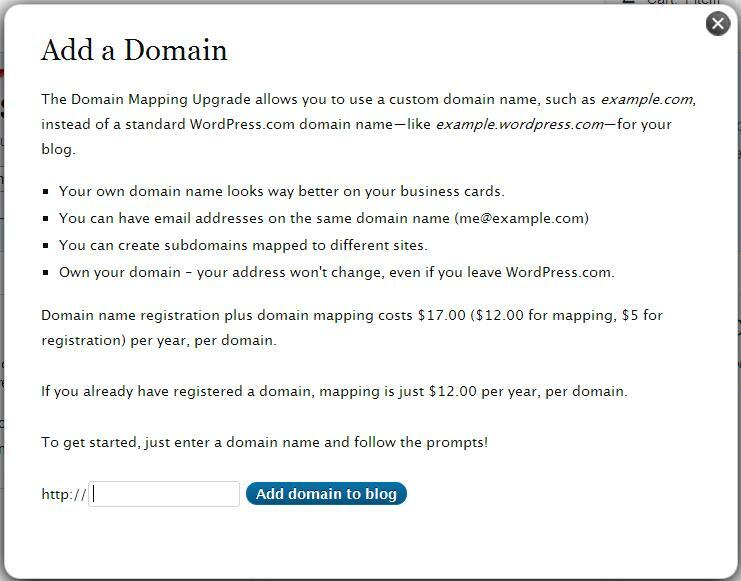 Aside from what are enumerated in the note below, custom domain upgrade gives your blog a chance to be monetized through WordAds. WordPress.com has also offered a promo bundle on upgrades @ $99 only that includes Custom Domain, VideoPress, 10GB Space Upgrade, Custom Design, and No Ads. My choice of upgrades for my blog are the Custom Domain and Space Upgrade which give me the chance to monetize my blog and provide me an option to post direct audio player anywhere in my post. The Louvre Museum has 8.5 million visitors per year. This blog was viewed about 77,000 times in 2011. If it were an exhibit at the Louvre Museum, it would take about 3 days for that many people to see it.